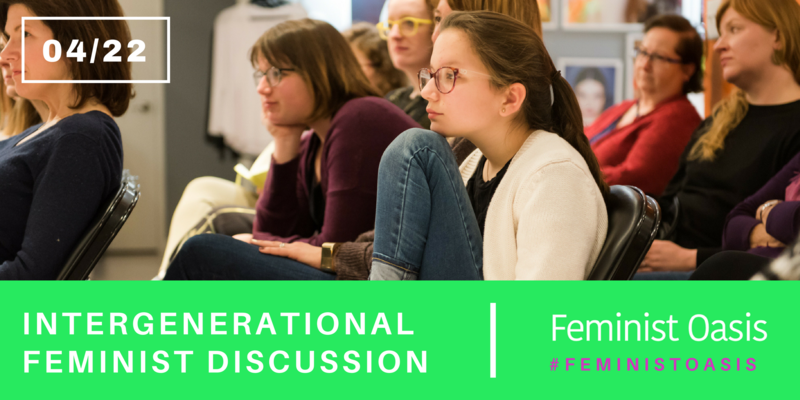 Bring someone at least 15 years older or younger than yourself for this intergenerational feminist discussion. We’ll address questions including: What does the movement of feminism mean to womxn and advocates across different generations? What societal, cultural and familial dynamics are in place when we communicate to each other across generations — specifically when it comes to intergenerational women, such as mothers and daughters? How does the experience of advocates who have been involved in the movement of feminism and social justice for decades vary from that of younger generations or those just starting to become involved in these movements?